The following Free Bonus Gifts are available when you purchase your Early Bird Tickets here! 140 page ebook download on 'The Balance Procedure'. her vast experience over the years using her creation The Balance Procedure. Read more about the Balance Procedure and Jenny Cox here. 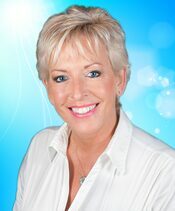 Sue Stone is our VIP Gala Dinner Speaker on the Saturday night. Read more about Sue Stone here. 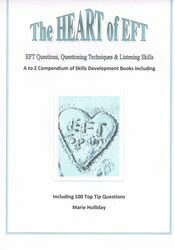 on Questions to use with EFT and Questioning Techniques called 'The Heart of EFT' . It is used in conjunction with learning basic EFT as Questioning skills are one of the most difficult parts of EFT. Read more on Marie here.